Mountain and photography have always been a winning duo: There’s nothing more challenging and satisfying for a nature photographer than venturing into remote and untouched places to capture rare impressive images. 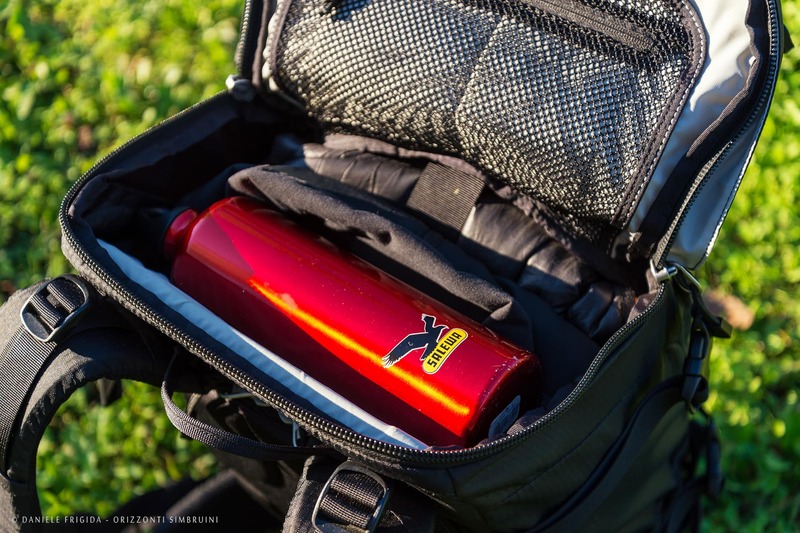 It’s in these situations however that you’re faced with the difficulties of carrying around heavy equipment (not only your photographic tools but everything you need for winter trips or camping out at considerable heights) while walking long distances. 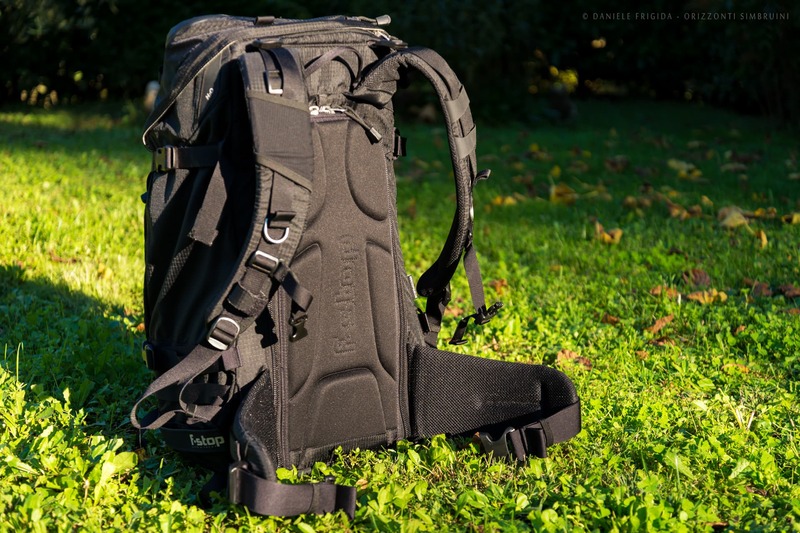 A handy and ergonomic backpack that can carry around much more than your photo equipment is essential to operate and make the best out of your photography trips. That’s where the classic photography backpacks fall short: Despite offering more than enough space for your photo equipment they’re not made to carry everything else you need for your outdoor adventure. Even if you go for one of the many bigger trekking backpack models available on the market (for a photography trip on the mountains it would have to be able to carry at least 40 litres), it would still not be comfortable enough to carry around and easy to access if you’re bringing with you more than just the very basic tools with camera and all-in-one lens. Having easy and fast access to your gear can become very important to capture those rare and fleeting moments. If you’re wondering if there is a solution to this problem that at some point troubles everyone who devotes themselves to nature photography, the answer is yes. Nowadays there are lot of manufacturers offering collections of backpacks models that are especially thought for the outdoor photography and which combine the protection and easy access to equipment provided by photography backpacks with the high capacity and ergonomics of the classic mountain backpacks. 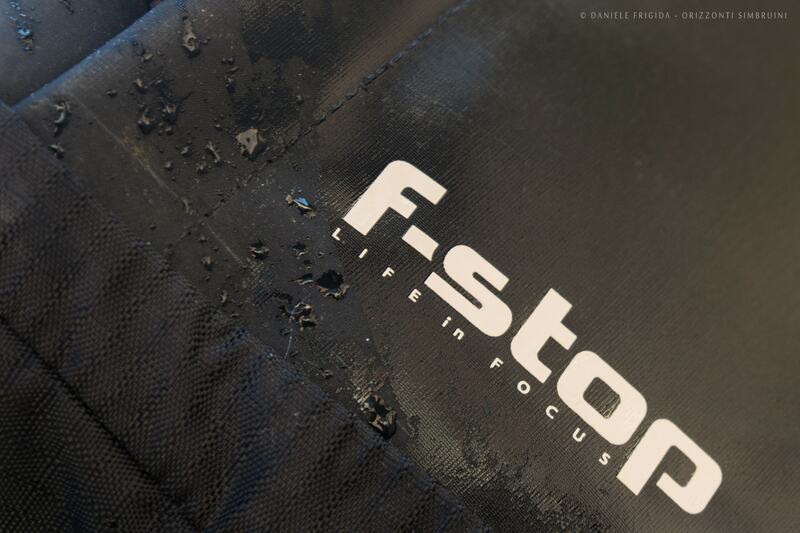 Among all the options that the market now offers (there’s more than you can imagine) I find the best backpacks to be the ones by F-Stop Gear (fstopgear.com). 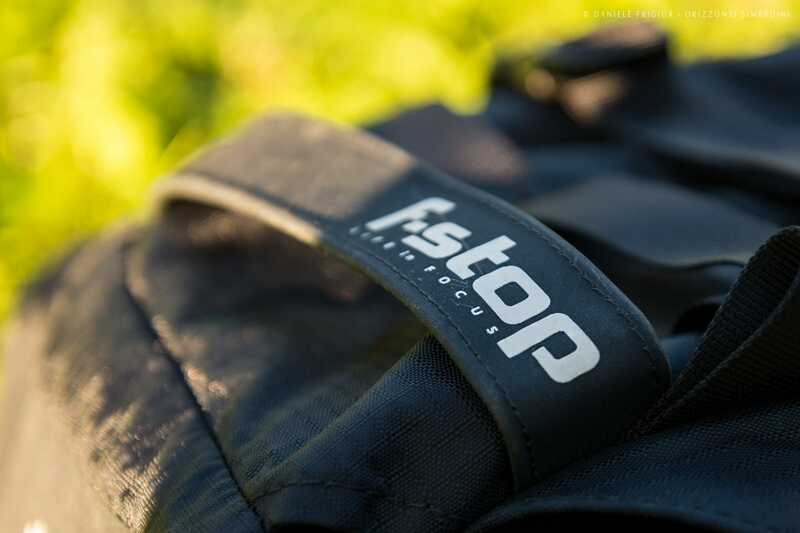 F-Stop Gear offers high quality products and most important allows you to combine different backpack models from the catalogue with several Internal Camera Unit types, the padded compartment units for all lens and camera elements which are completely removable and interchangeable to best suit your needs. After browsing through the american company’s collection I decided to pick the “Tilopa” which seemed like the best choice for my needs (I believe it fits the needs of all mountain photographers) and a good compromise being big enough for all my gear without being too heavy or bulky. For the record there’s already a newer model available now, which however has more or less the same features as the model being reviewed here. Let’s start with the detailed analysis of this interesting product by describing its outside appearance. At the very first glance the product shines for its overall quality and the exceptional attention to detail: It’s clear to see that only the best materials were used and the finishes are done with obsessive precision and care. 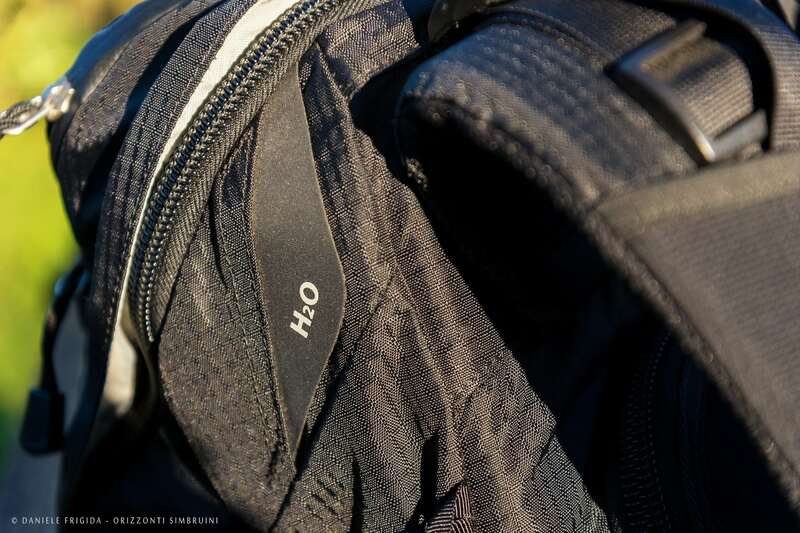 It’s all built in water repellent and abrasion resistant material derived from the combination of a weave of nylon Oxford and Advanta fabrics; the backpack is especially water resistant at the bottom – the part that usually gets in contact with wet surfaces – thanks to an effective waterproof reinforced Hypalon® bottom. Here you can also find a small pocket, which I decided to use to store my waterproof cover. 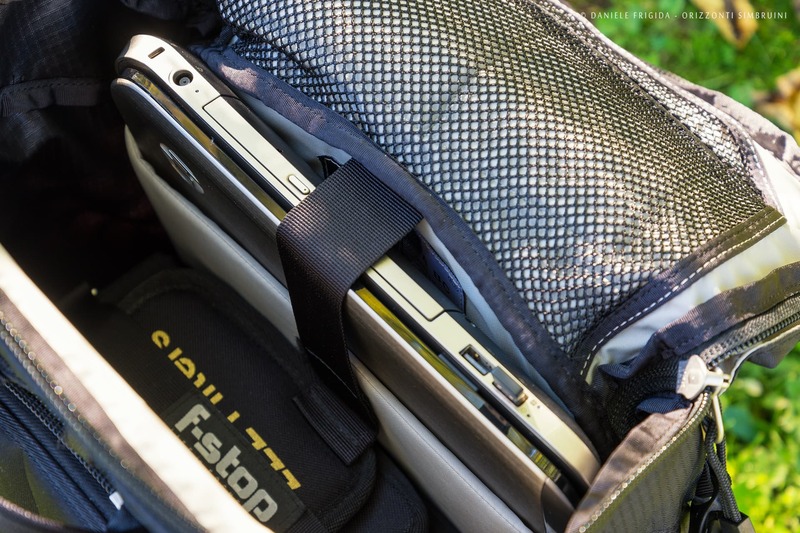 In the back there are two additional compartments, that come in handy to store smaller gadget that you want to keep within easy reach and yet separated from the rest of the gear (like a hoodie or a map). The bigger one of the two compartments is used to keep an emergency shovel, something you find in almost every anti-avalanche kit. All the zips are quite sturdy, although a bit stiff at the beginning, yet after using them for a while they slide up and down easily. All of them are covered with a cuff or a rubber seal making them particularly water-resistant. 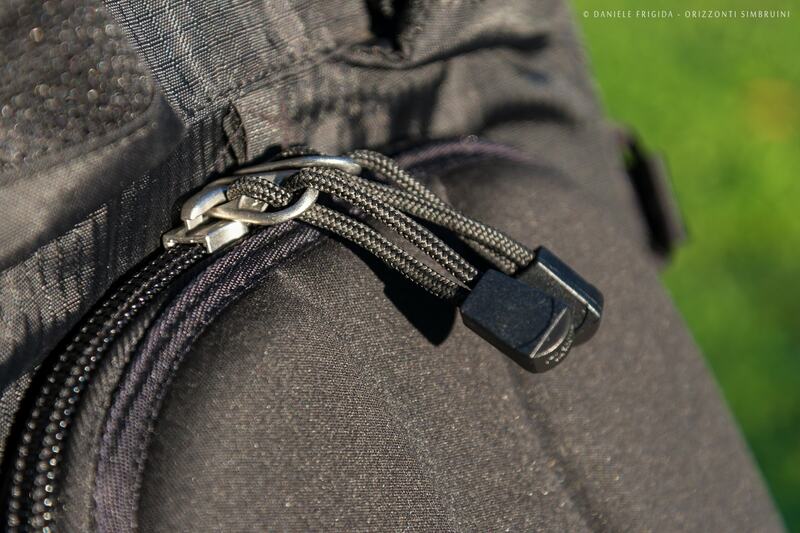 This backpack has a total of 6 adjustable straps, 2 on each side and on the back. You need them if you have to carry a tripod or an ice ax, skis and snow rackets in winter, but you can use them to carry just about anything (sleeping bag, sleeping mat, tent, wind jacket, etc.). At the bottom on each side there’s also a fixed band that comes with a strap especially designed to attach your skis. On the back there’s a couple of elastic adjustable strings, which are perfect to hang a monopod or the walking sticks. 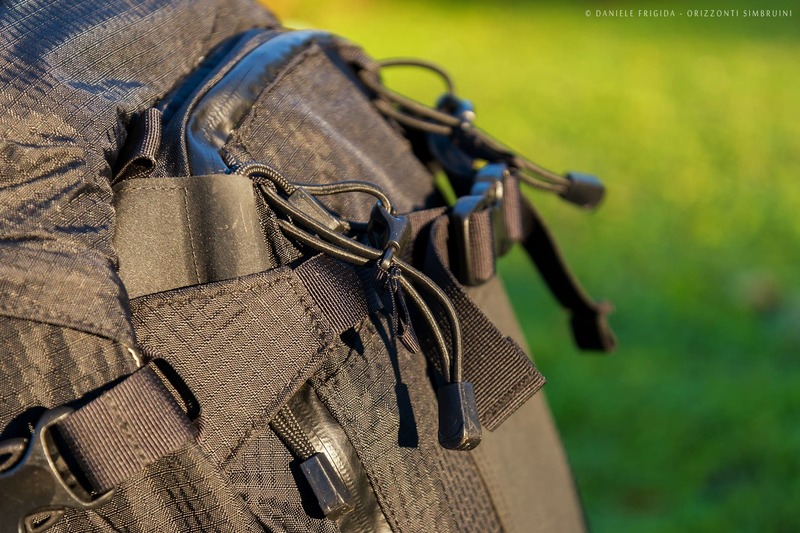 Last off the long list of accessories for carrying external gear are several strips which use the military patented locking system Molle (which however was removed from the latest model) and lots of upper and lower loops which are compatible with additional strings that are sold separately. The shoulder pads are well filled and form fitting, so that the backpack feels comfortable even on a heavy load on long routes. 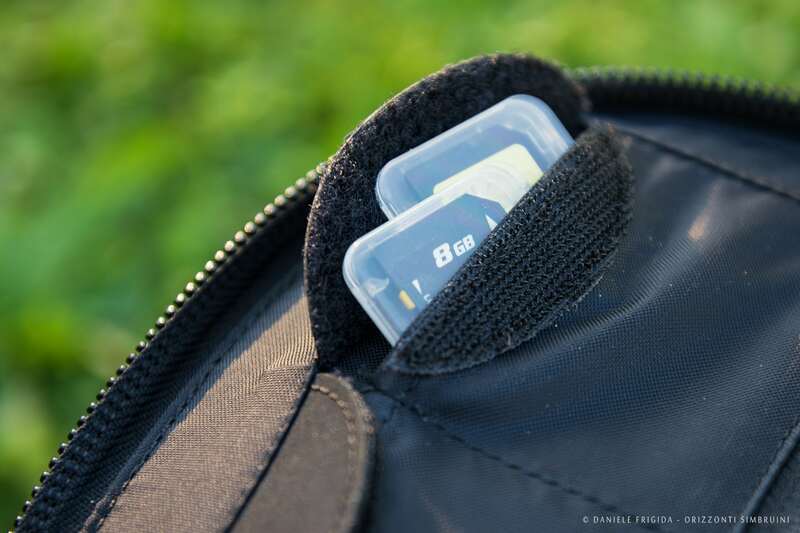 You can adjust them with extreme precision even while already wearing the backpack. On the right pad there’s a small Velcro strip which can be used for the rubber straw coming from the water sack in the main internal compartment, while on both there’s a metal ring for carrying gadgets at an easy reach (like a GPS for example.) 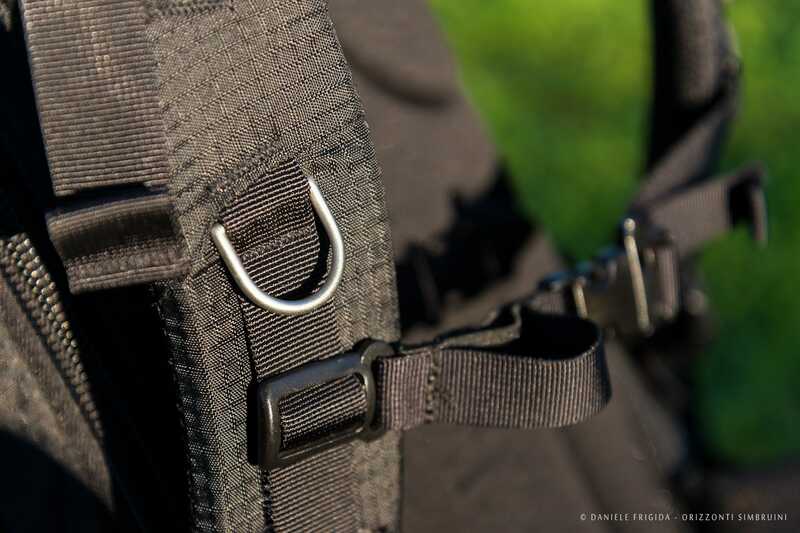 The abdominal belt helps balancing the load efficiently and the locking system is sliding better than other backpacks we’ve tested. There’s also a smaller belt connecting the two shoulder pads, which also has an emergency whistle. 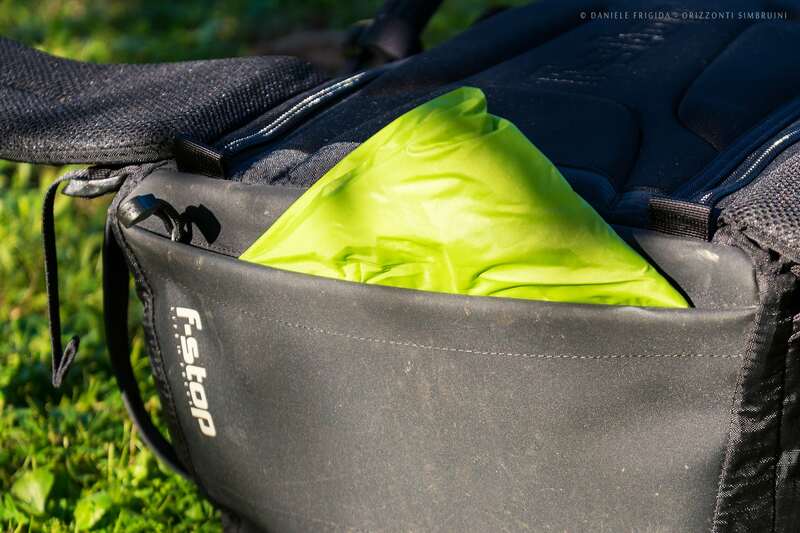 Let’s now have a look at the backrest of the rucksack: It is without doubt one of the strongest features of the F-Stop series: it’s made of a soft-feel ribbed material and it can be opened thanks to the two side zips so that you can grab your gear in the ICU directly from the back, something extremely useful. 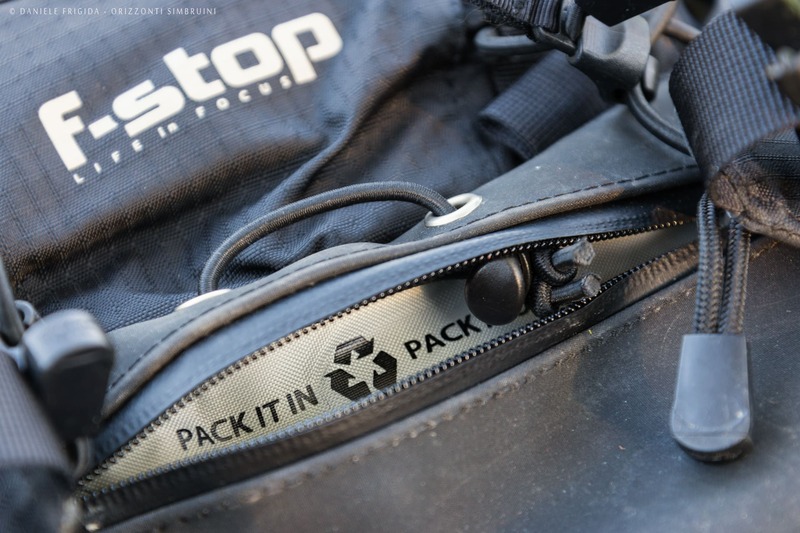 If you rest the backpack open on its bottom with all the gear on hand, it will be extremely easy to change from one lens to the other or just do anything where you need to use both hands and have to rest the bag on something else than the ground itself. The backrest has only one flaw in our opinion: Compared to the latest trekking backpacks, it offers less ventilation in the lower back area; since the back is directly in contact with the body there’s not enough space for airing, so that it can cause some sweating in that spot. This small drawback is largely compensated by the great ease of access to the gear thanks to the way the backpack has been built. It also looks like newer models come with a slightly different form, even though I can’t really say whether this made it really better on that aspect, as I haven’t tried the newer model. 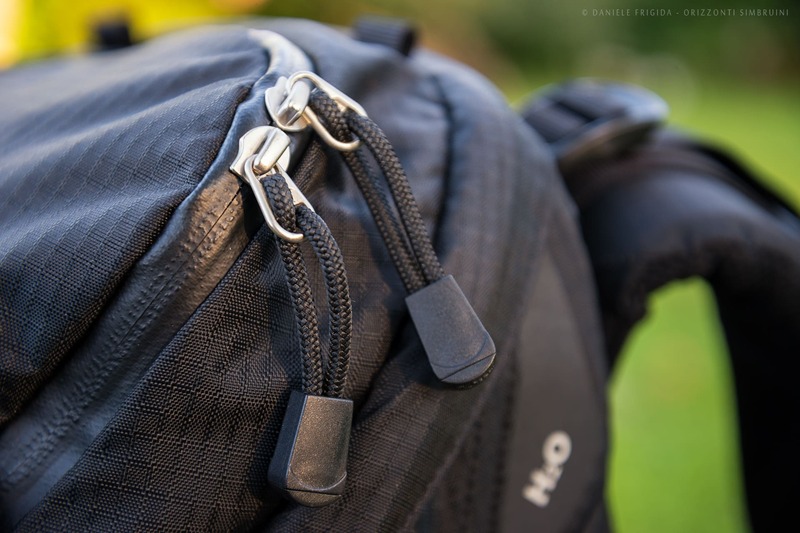 At the top of the backpack, besides the classic zipped opening for access to the main compartment, there’s a large pocket inside which has been converted into various compartments and most importantly a robust karabiner keychain, useful to fix securely the car keys (or home keys) to avoid losing them while hiking in remote places. On the inside of the backrest there are two very small pockets for storing SD cards for example and also two zip pockets, which are not too big, but large enough for smaller and thinner accessories (filters, lens cleaning cloths, etc.). The main compartment is reinforced by a metal frame, which is extremely resistant yet lightweight giving the backpack a good sturdiness while being overall quite light in weight. In the same compartment you also find a 17″ laptop pocket (which can be used to store something else too), while the rest of the space is filled by the ICU combined with it; if we choose a medium-sized ICU which is big enough to host a camera with a set of 3 lenses, there’s still enough space to carry everything you need on a one day excursion, you can even fit gear for two days if you optimize and organize the space efficiently. Now it’s time to take a look at the very “heart” of the F-Stop Gear backpacks, the ICU, which stands for Internal Camera Unit. 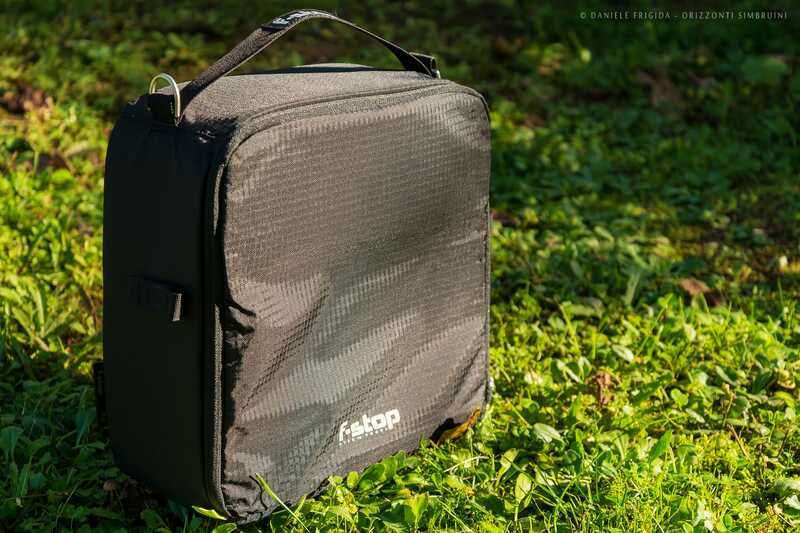 Having a separate interchangeable internal case for camera and lenses is one of the features of the F-Stop Gear backpacks, which make them stand out among the competition. 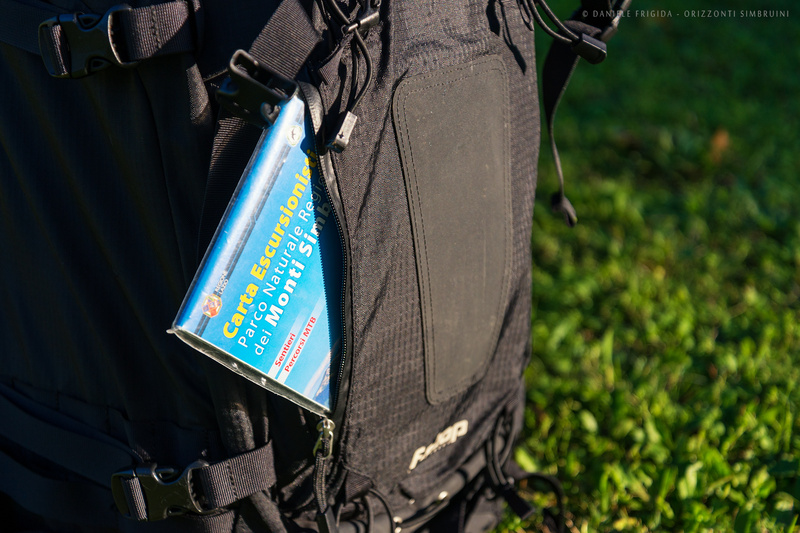 It’s a very useful feature as it allows you to change and adapt the backpack to the needs of the moment, the ICU can be easily pulled out and replaced (if you have at least two different models), so you can adjust the backpack capacity and take exactly the space you need for your camera and the rest for your walking and adventure gear. You can easily pull out the ICU by releasing the four Velcro stops that secure it to the metal frame. It’s a very easy mechanism, yet brilliant and convenient at the same time! The make of the internal unity is of excellent quality, the different compartments are adjustable thanks to the dividing walls with Velcro strips which can be moved and adjusted the way you like, they also come with elastic bands to secure the lenses. 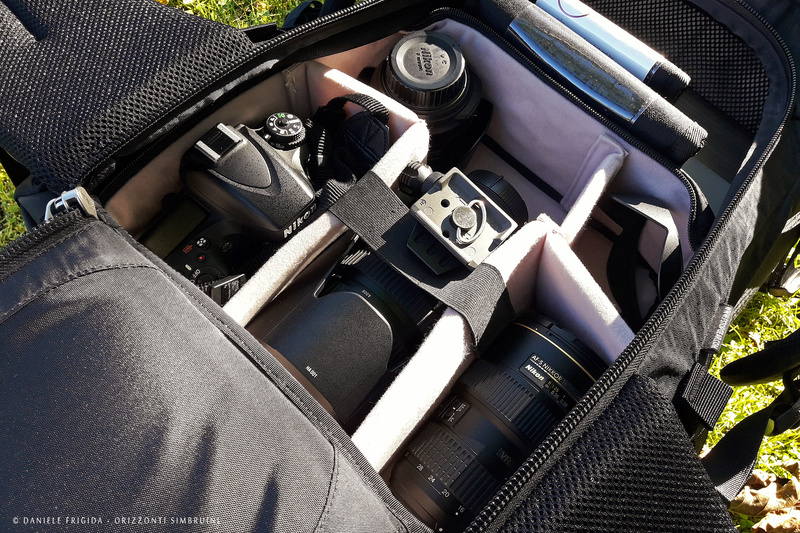 I decided to combine the backpack with a “Medium Shallow” ICU, which as the name suggests has a medium capacity and can hold quite conveniently a FF camera, a 70-200 f/2.8 lens with hood, a wide-angle 16-35 f/4 and an all-around 24-85 as an alternative to a 105 f/2.8 Macro, along with other various small accessories (extra battery, circular filters, etc.). 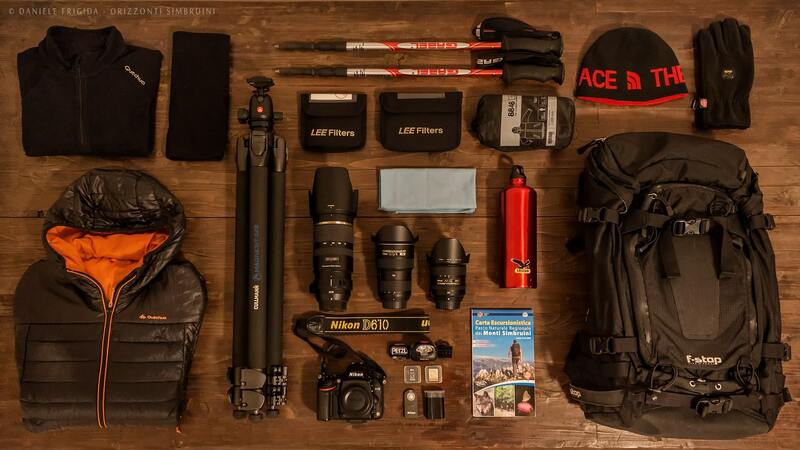 That is just enough to hold the classic nature photographer gear, while leaving enough space in the backpack for everything else (water bottle, sweatshirt, jacket, food, flashlight, first aid kit, etc.). The company offers however far more spacious ICUs than this one, which can hold large telephoto lenses or kits consisting of several pieces. On the manufacturer’s website you can see the full list of the ICUs available: shop.fstopgear.com/ICU. You’ll certainly find one tailored to your needs. 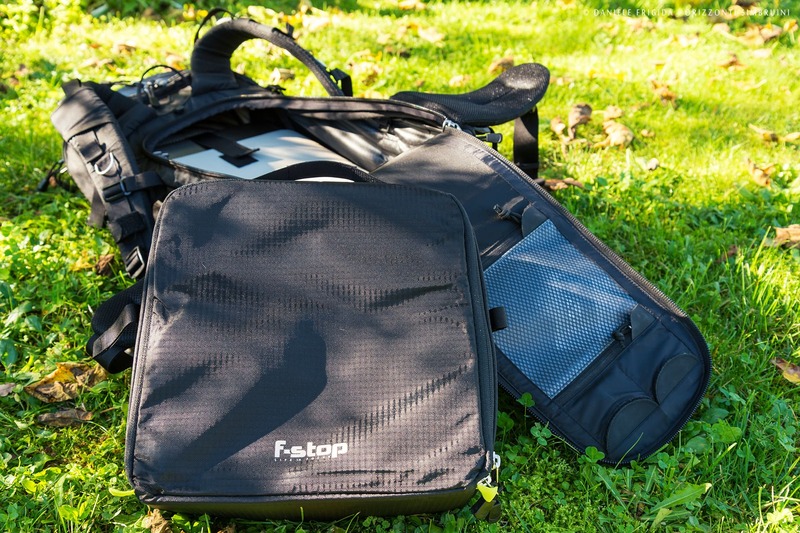 The price for the F-Stop products (backpacks and ICU, but also of the various accessories available) is not exactly cheap, considering the high quality and the very specific target market is however definitely reasonable and fair. 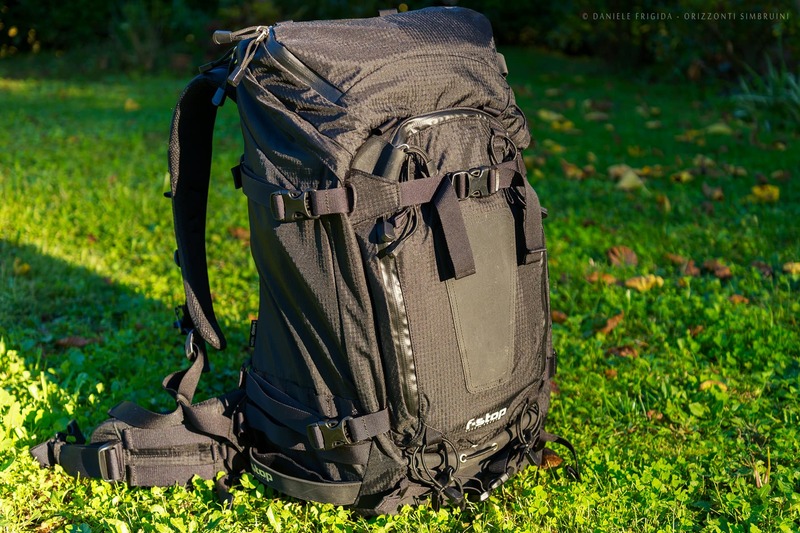 The price for the backpack and an ICU similar to the one just described in this review is around 300 to 350 Euro, depending on how you combine the two products. Not exactly a cheap product, but a product that after two years of intense use I appreciate more and more every day and can definitely recommend if you’re looking for a sturdy, well designed backpack especially developed for the needs of the outdoor photographer.